Although it’s something we’re all supposed to do at least twice a day, At Carisbrook Dental we’re constantly amazed at just how many people DON’T know how to clean their teeth properly, give them the attention they deserve or even unwittingly cause lasting damage to them. 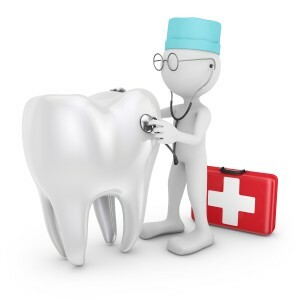 So here is the dental care Manchester guide to how to look after your teeth. How often and when should you clean them? We recommend that you brush your teeth at least twice a day. Once as soon as you get up in a morning (before you have breakfast) and again just before you go to bed at night. A recent study revealed that one in three people ‘forget’ to clean their teeth in a morning! On our Hygiene page you’ll find a video that demonstrates the correct brushing technique, which should be a gentle circular motion. Not heavy scrubbing. And certainly not up and down. Up and down can damage the gums causing them to recede and increasing the risk of infection. As the Dental Care Manchester specialists our advice is to use a gentle ‘tickling’ motion as you clean them while holding the brush at approximately 45 degrees to the teeth. If you have crooked teeth then adjust the angle of the brush to suit. Make sure that you gently brush right up to the gums because that is where much of the bacteria hides. How long should each brushing take? Ideally you should brush your teeth for at least two minutes morning and night. It’s a good idea to divide your mouth into four quarters and spend about thirty seconds on each quarter. Longer if possible. We also recommend that you floss or use an inter-dental brush to clean in between your teeth at least every other day. And finally don’t forget to clean your tongue using a brush or tongue scraper. This removes accumulated bacteria and also counters the risk of bad breath. Again you can find more information about this, along with video demonstrations, on our Hygiene page. A manual or an electric toothbrush? Both methods if practised properly are efficient, but if you’re choosing a traditional toothbrush our dental care Manchester advice is to go for a medium bristle (not soft or hard) and always make sure you use good toothpaste that contains fluoride. Modern electric toothbrushes are excellent and have been compared to washing clothes by hand or using a washing machine. An electric toothbrush always ensures that you are using the correct circular brushing technique so it will eliminate the risk of poor brushing practice. Whichever method you use though it is vital that you spend the correct amount of time in cleaning your teeth. Using an electric toothbrush doesn’t mean you can cut corners, in fact some of the more sophisticated electric models incorporate their own timer to prompt you. If you feel you would like to discuss teeth cleaning techniques in greater detail you can always make an appointment to chat to one of our Hygienists who will gladly provide the latest Cleaning Advice. They can also provide all the Help & Advice you need on choosing the right toothbrushes for yourself and your family and you may be interested to learn that we offer a full range of brushes that we have specially tested and selected for our patients. These include conventional toothbrushes as well as our recommended electric toothbrushes that range in price from just £35 up to £107. For any further information, or to make an appointment please call us on 0161 951 7295 or complete the online form from our New Patients or Appointments pages.